FastMed Urgent Care can help you get quick relief from unpleasant allergies. If you are looking for allergy treatment in Winston-Salem, NC, FastMed has a walk-in clinic near you that can provide you with convenient and low-cost healthcare. We offer extended hours all 365 days of the year, so you can find a time to come in–even with a busy schedule. We also accept most major insurance plans, so quality care is available to you without unexpectedly expensive bills. 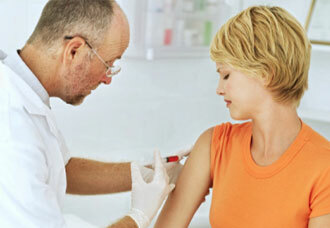 FastMed can provide allergy testing and allergy treatment. We aim to get you in and out within an hour, so you can get on the road to allergy relief as quickly as possible. Allergies are a common and chronic condition. Your body has an allergic reaction when your immune system overreacts to an irritant that it sees as an invader. When a foreign organism enters your body, your immune system may attempt to protect you from illness by producing antibodies that cause you to experience allergy symptoms. Some allergic reactions may be more serious, such as with food allergies, including vomiting or diarrhea, and could cause anaphylaxis. Common allergens include pollen, dust, food, insect bites, animal dander, mold, medications, and latex. No matter what you are allergic to, FastMed can help you get the treatment you need for your symptoms. Don’t hesitate to seek allergy treatment in Winston-Salem, NC; FastMed’s healthcare professionals would love to help you find relief from annoying allergies as quickly as possible.